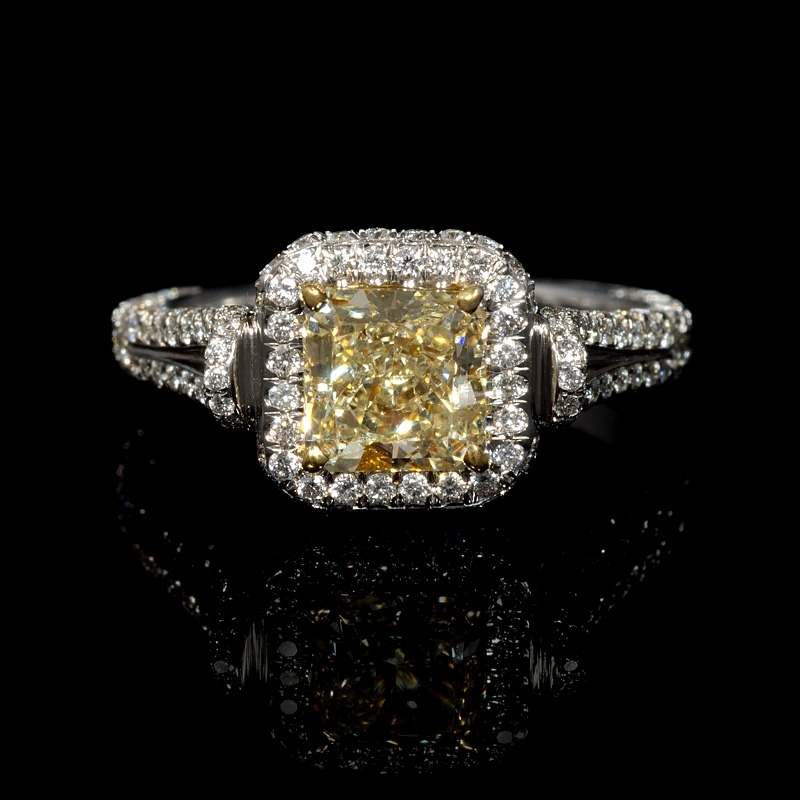 Center Diamond Details: 1 GIA Certified radiant cut fancy yellow diamond at the center, VVS2 clarity, weighing 1.17 carats total. 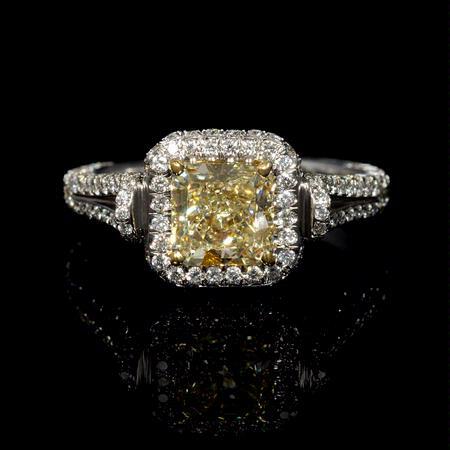 Diamond Details: 163 round brilliant cut white diamonds, of I color, SI1 clarity, weighing .83 carat total with 18 fancy yellow diamonds, weighing, .11 carat total. 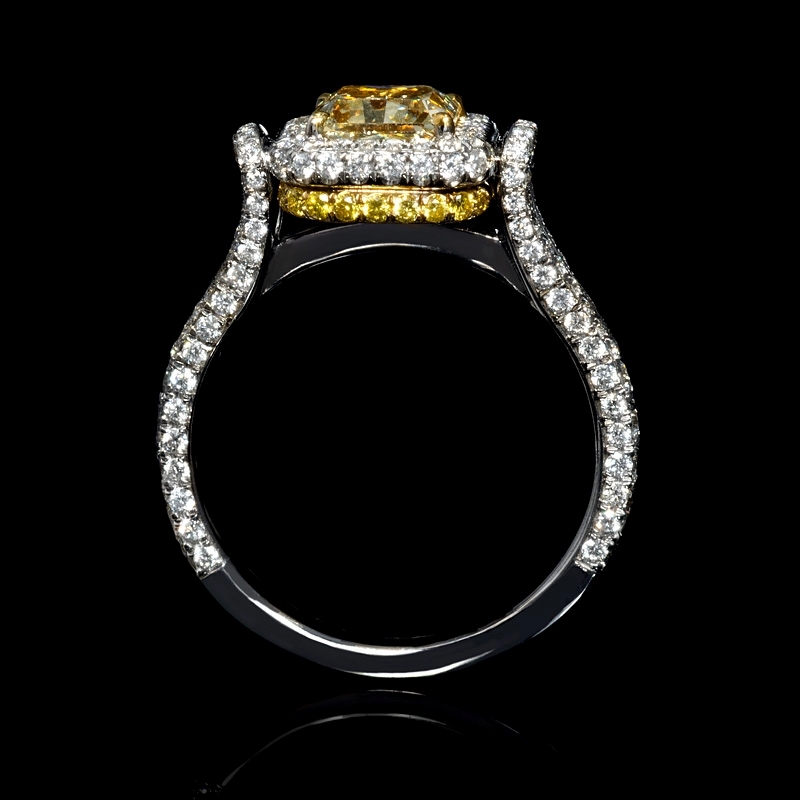 Ring Details:18k white and yellow gold halo design. Measurements: Size 5.5 and 9mm at the widest point. This ring is adjustable to most finger sizes, some of which require 4-6 weeks for delivery. 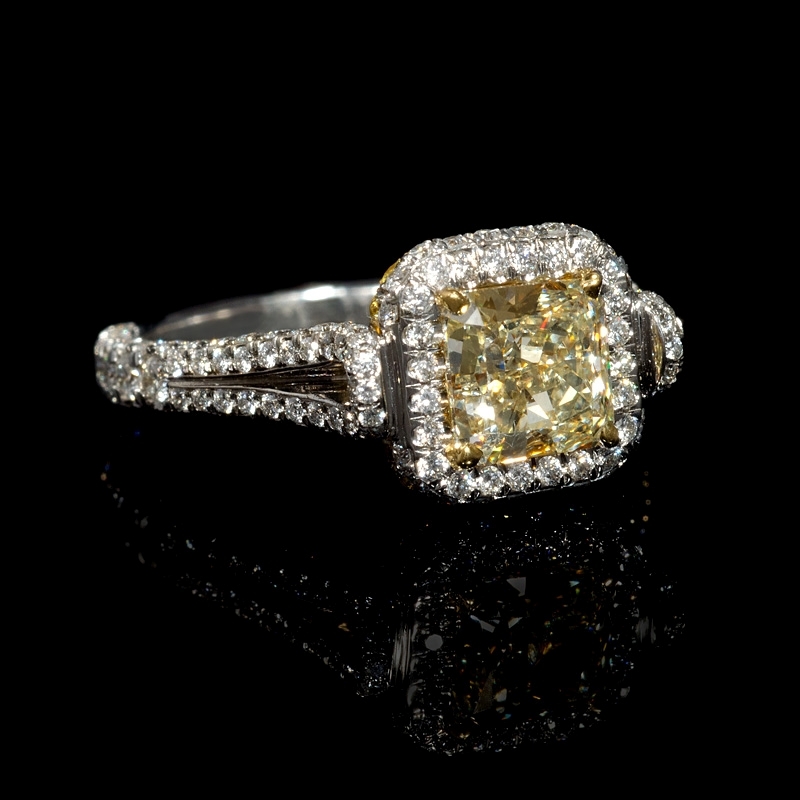 This beautiful 18k white and yellow gold halo engagement ring, contains 1 GIA Certified radiant cut fancy yellow diamond at the center, of VVS2 clarity, weighing 1.17 carats total, with with 18 fancy yellow diamonds, weighing .11 carat total and 163 round cut brilliant diamonds, weighing, .83 carat total.of I color, SI1 clarity, weighing .48 carat total. The ring is a size 5.5 and is 9mm at the widest point.